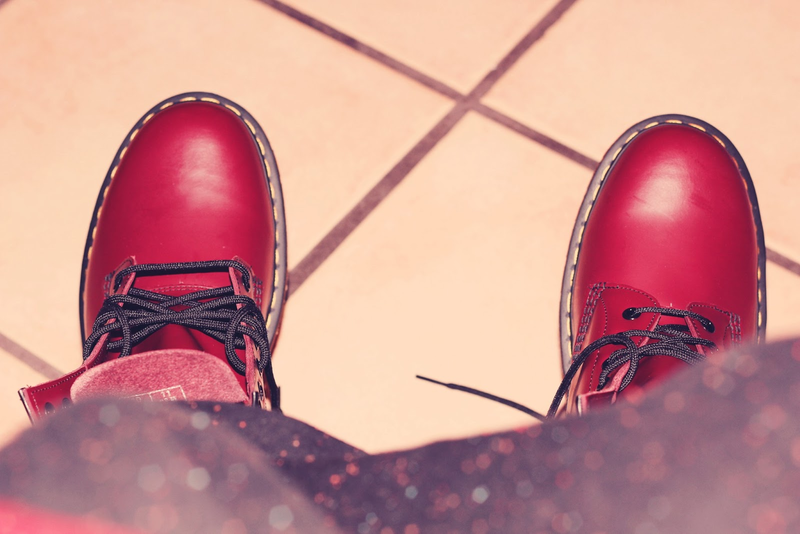 Being Erin ★ : First pair of Docs & other things! First pair of Docs & other things! 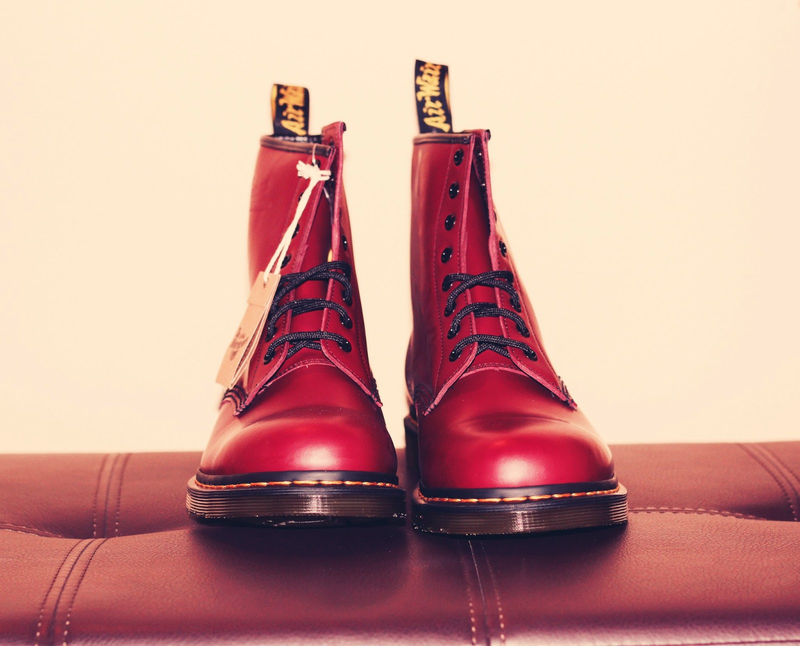 Ever since I rediscovered my love for the 90s - the fashion, the music, the everything, I've been craving a pair of Docs. I finally splurged 2 weeks ago and decided to get myself a pair of classic red ones! I did consider getting black but ultimately I don't wear a lot of black and find the red more versatile for the outfits I wear. I have to be honest, they aren't as uncomfortable or hard to break in as a lot of people make out - I've worn them about 5 times now and I wouldn't say they're completely comfortable yet but they definitely feel better each time I wear them. I find that I walk differently when I wear them and I really like that. It feels like my feet are more grounded, but also feel lighter than when I wear my usual ballet flats. I'm so in love with these shoes and definitely recommend getting some if you have thought about it and can save up the money to splurge on them! Putting on my Docs for the first time.. 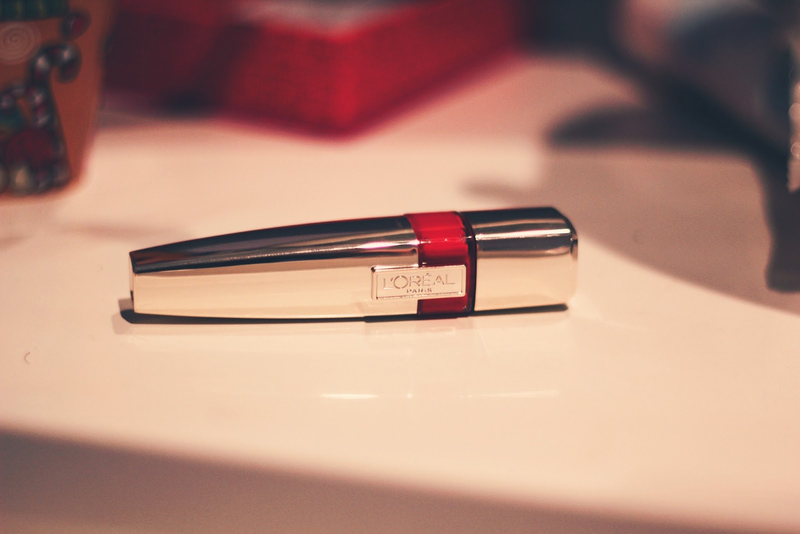 I've also picked up a couple of other little bits & bobs including this L'oreal Shine Caresse. I wasn't sure about this product - I'm not a lipstick or lip gloss person, I'm definitely a lip stain girl as I couldn't be bothered reapplying but this product is great. It doesn't wear as long as my Revlon lip stains but it does last a lot longer than lip glosses and other lip products I've tried. I find that the shine goes away after an hour or so but the colour remains for a bit longer. I chose the colour "Princess" as I was looking for a nice, subtle coral colour and this is a great one. Another thing I picked up was the Maybelline Colour Tattoo in purple. I own a few of these - Bad to the Bronze, Bold Gold & Tough as Taupe. I decided to be bold and try the purple as all the other ones I own are neutrals but to be honest I think I'll get more wear out of this purple than I do Tough as Taupe! 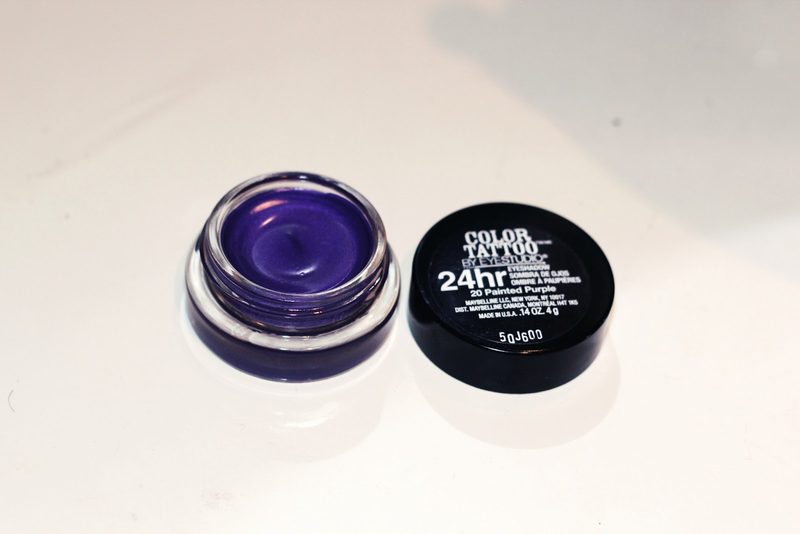 It's great for a subtle colour pop on the lower lash line or as an all over purple look. My first pair of Dr. Martens! I got the Original 8-Eye Boots in red.